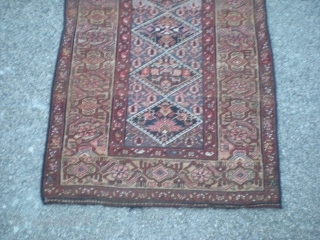 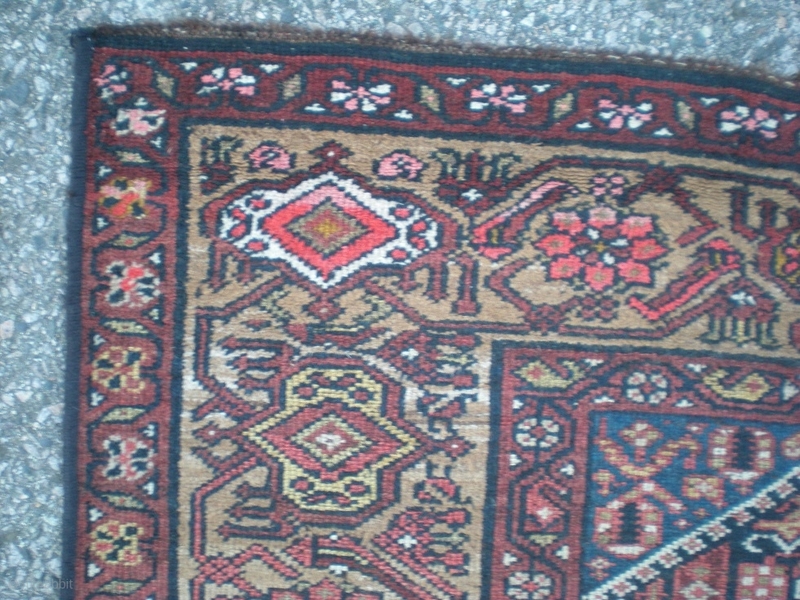 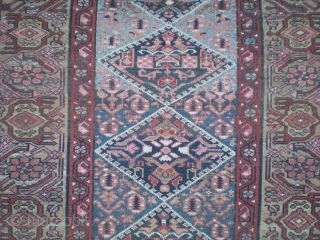 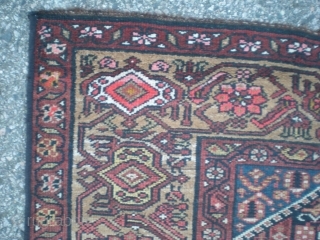 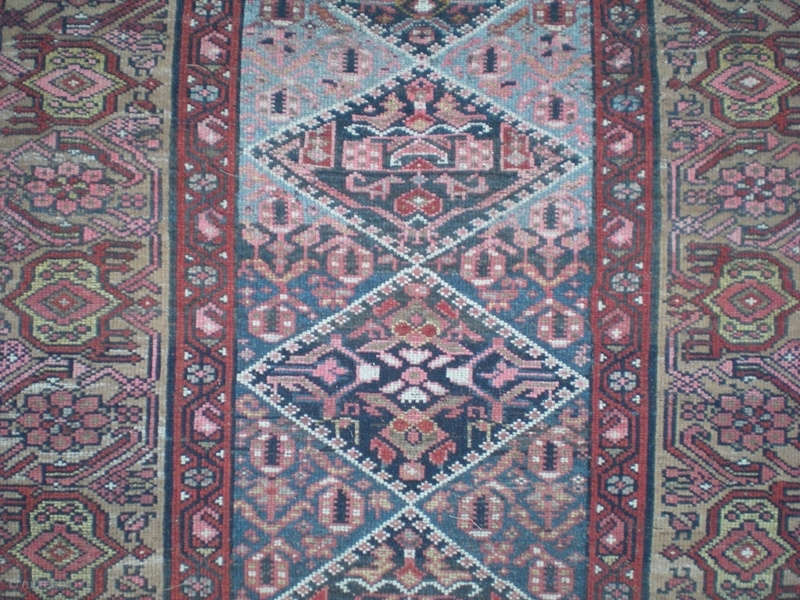 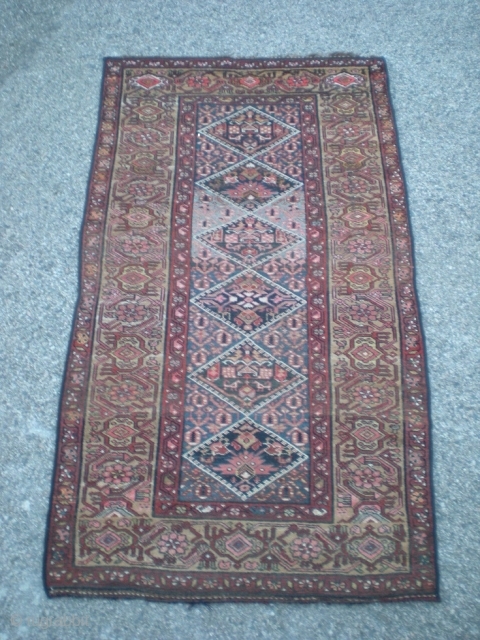 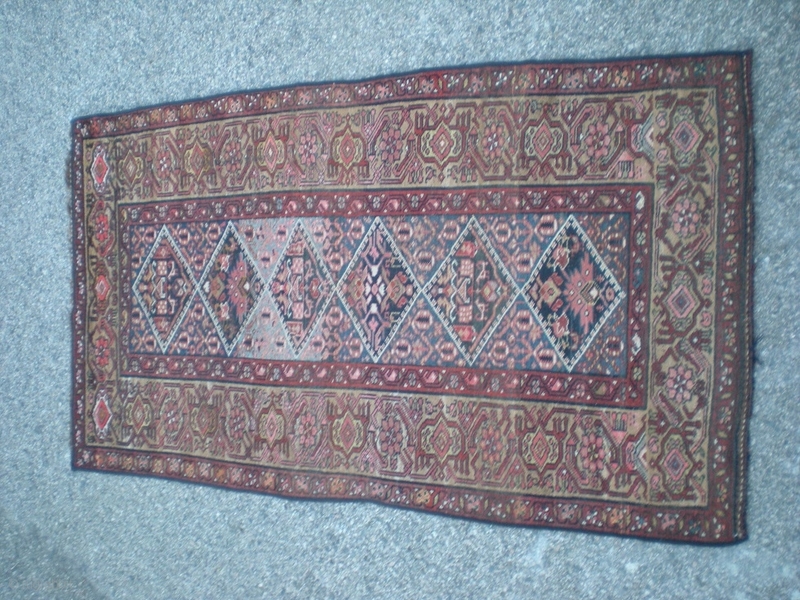 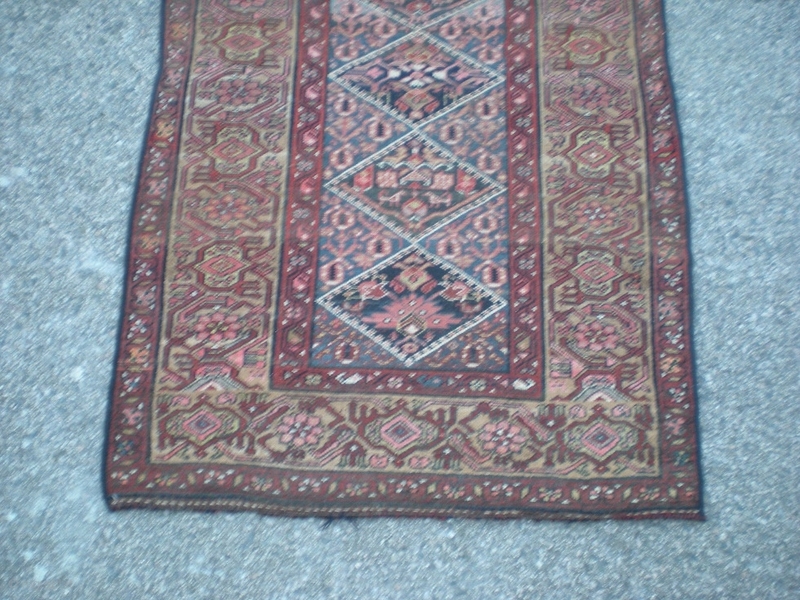 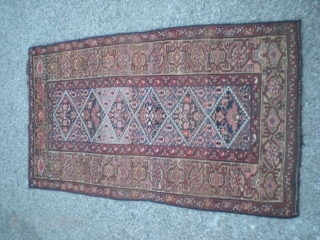 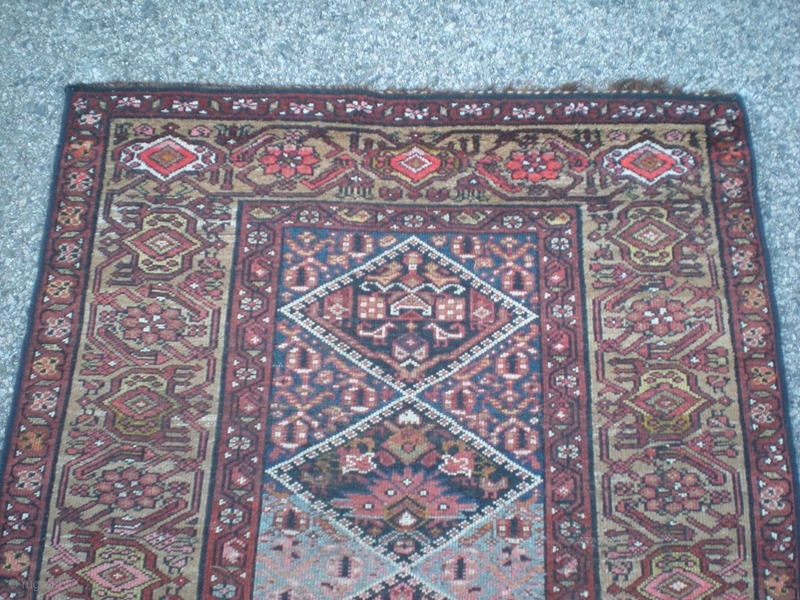 Old Kurdish rug, very good condition overall with medium even pile, no repairs, excepting machine overcast selvage. 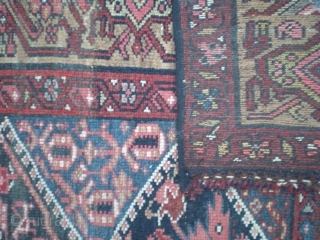 Weaver's personal touch of abrash between medallions. 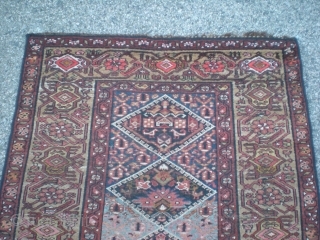 Early 1900's, size 6' 8" x 3' 8" and well-priced.